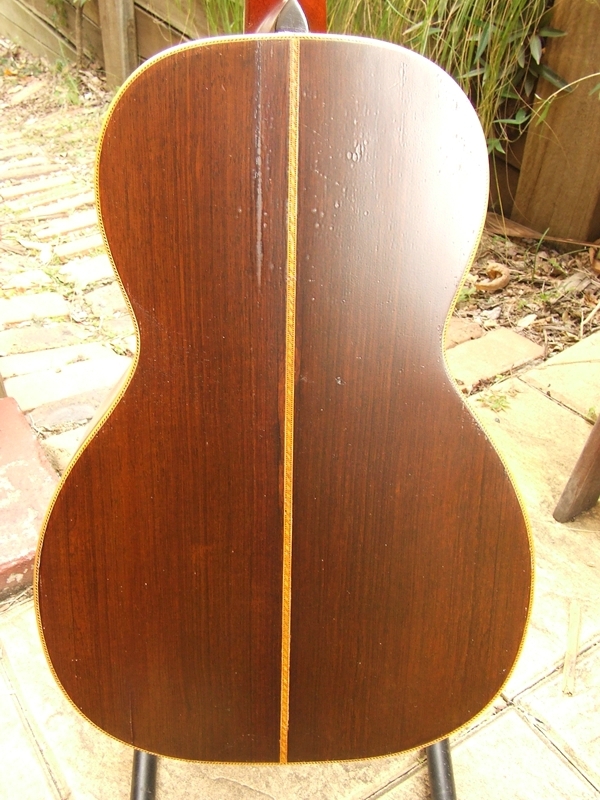 On old pre 1940’s guitars, of which we see many, have ladder bracing. 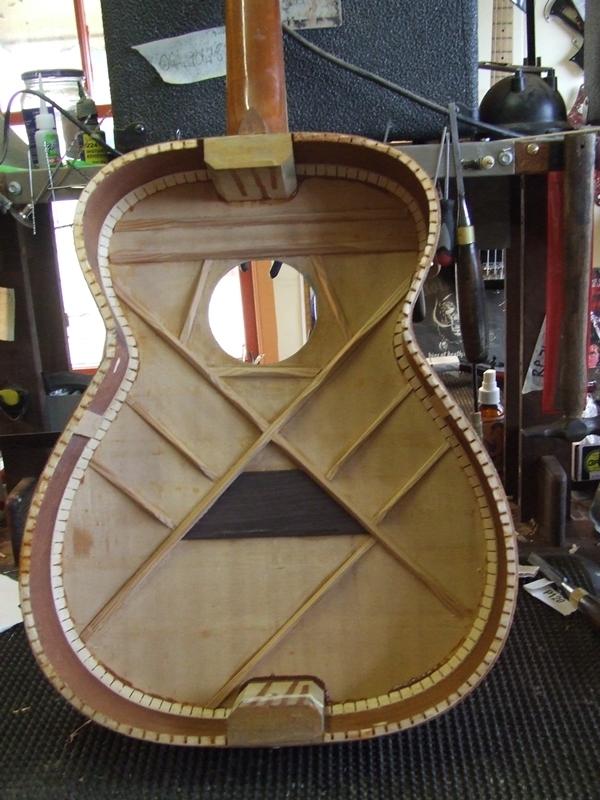 Ladder bracing was suitable if you were to string your guitar with gut strings. But with modern day steel strings the ladder bracing cannot support the high tension. 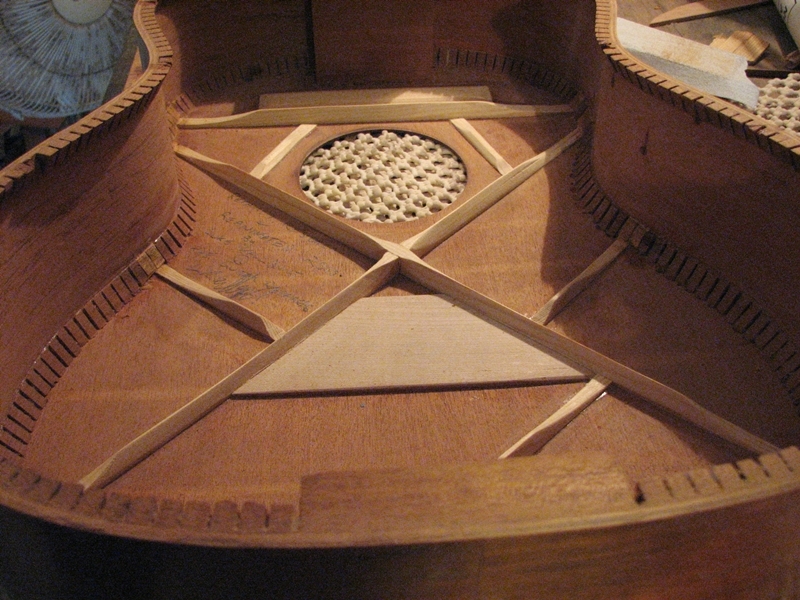 So we remove the back, remove the bracing from the soundboard and replace them using the modern x-bracing pattern. We use spruce obtained from century old German pianos so the braces themselves are quite resonant and won’t move over time either. 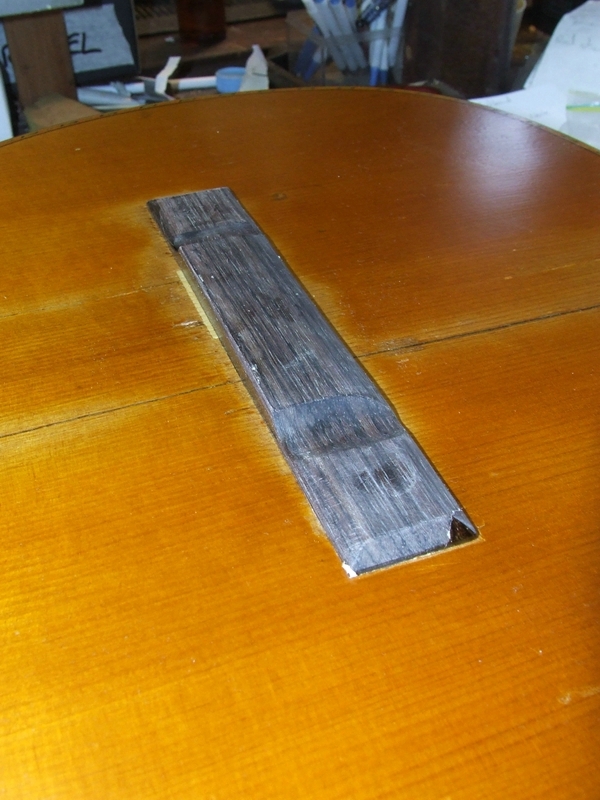 The bridgeplates of the old guitars are either worn out or wouldn’t be able to support the ball of the steel strings. 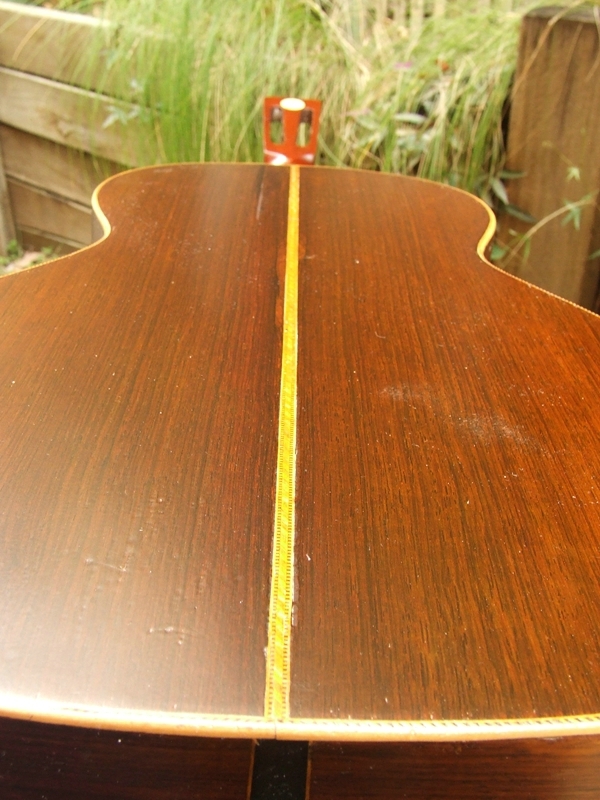 So we replace the bridgeplate with a rosewood one. 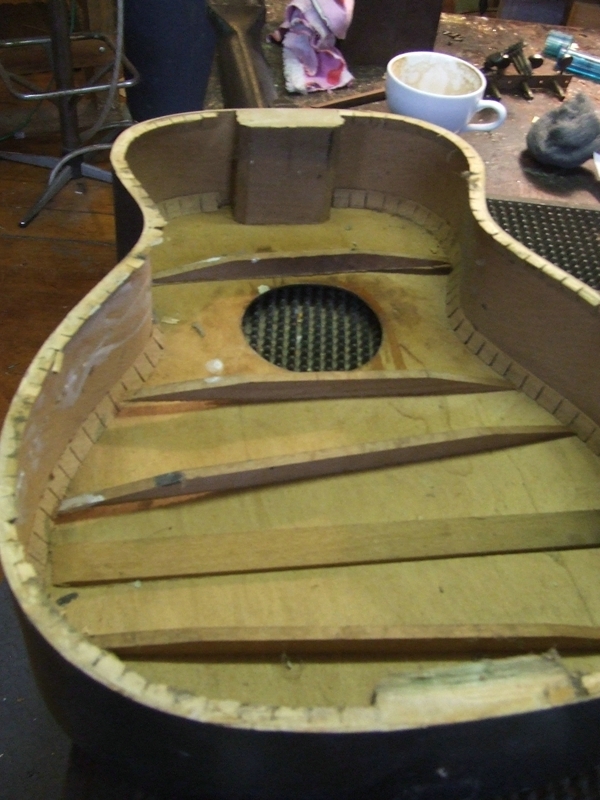 The next step is to replace any loose kerfing, re-glue any loose endblocks and then re-glue the back. The bridge also has to be replaced more often than not. 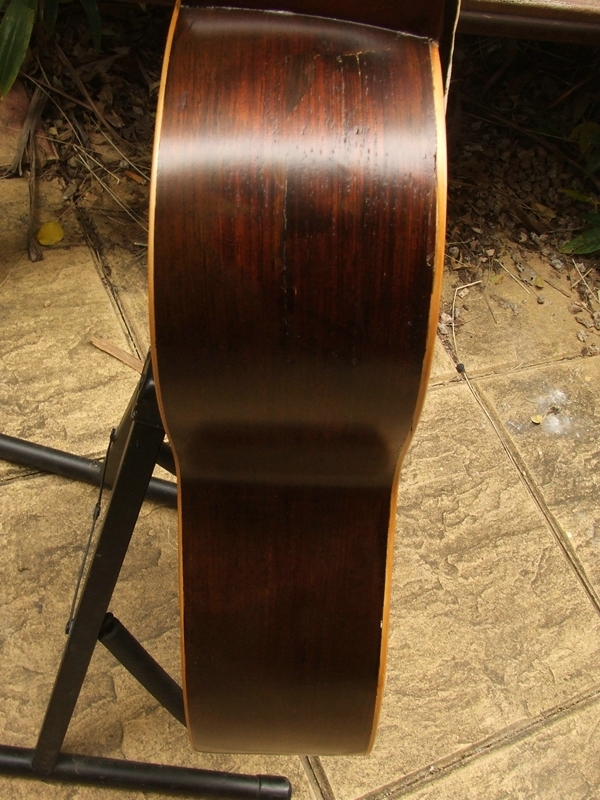 So Luke, our talented luthier makes rosewood bridges from scratch, complimenting the aesthetic style and theme of the guitar. 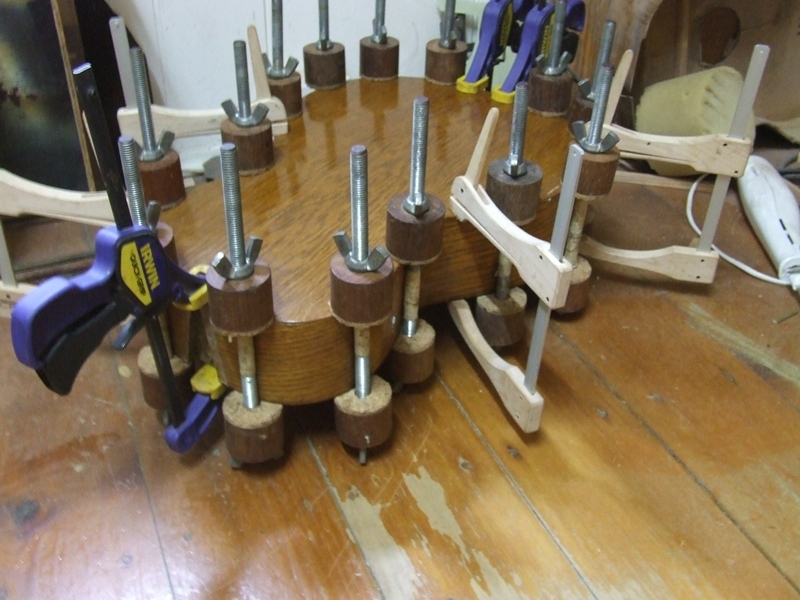 Once glued on, the bridge then has to be drilled and the saddle slot routed. 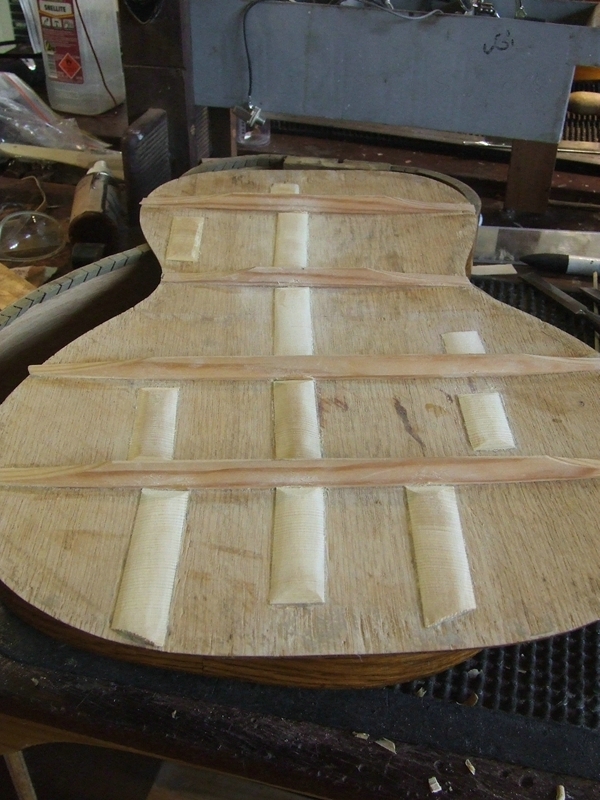 If the neck doesn’t have to be reset then it usually has to be re-fretted. We remove the frets, sand a radius into the fretboard, install new frets, level and re-crown them and polish them to a shine. The machine heads also will often need replacing. 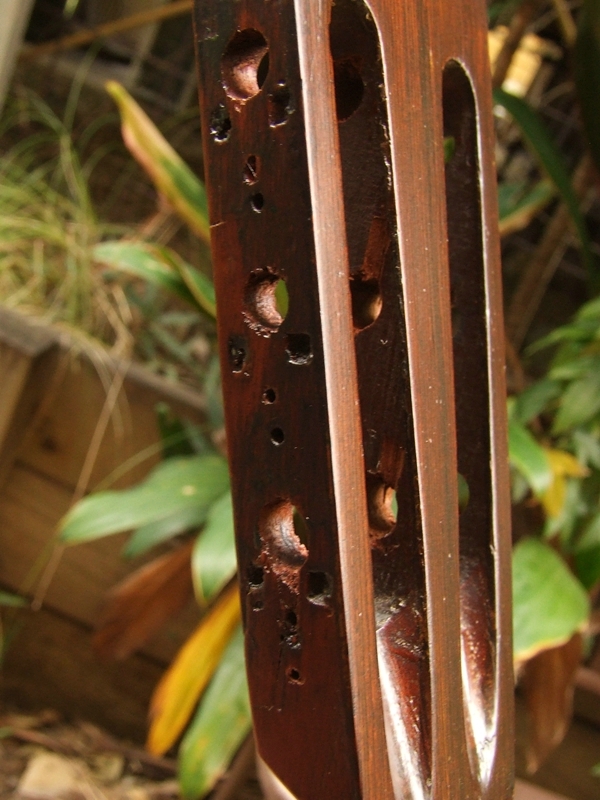 To do that requires doweling the old holes and re-drilling them. 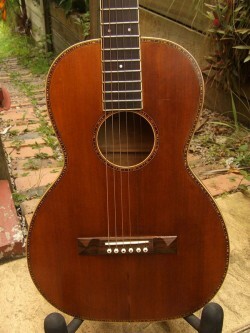 We then usually put on a set of vintage style machine heads that match and emphasize the original style of the guitar. 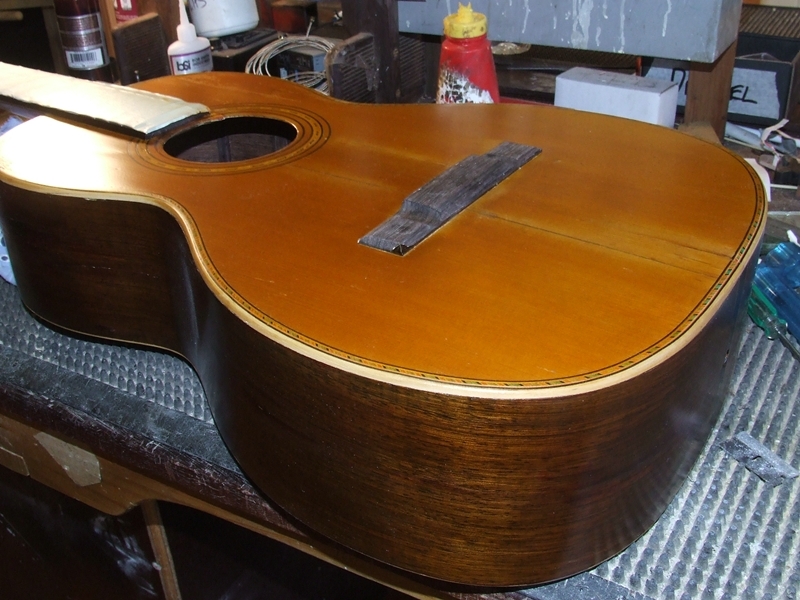 Then we cut back the guitar and overspray it with vintage tint nitrocellulose lacquer to add a coat of protection and really bring out the grain and tone of the old timber. By this point we’re almost done. Now come the intricacies of the setup. 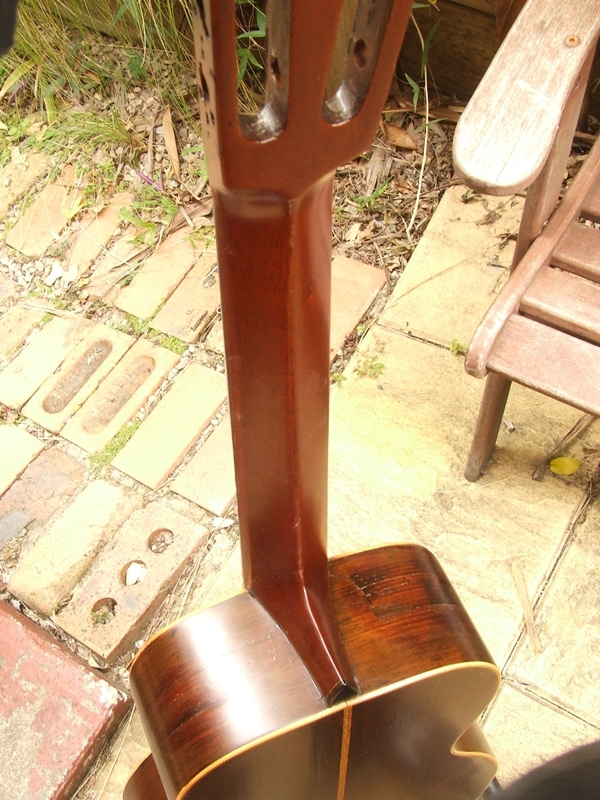 John makes, from scratch, a nut and saddle, (made from brazilian bloodwood with a compensated nut). 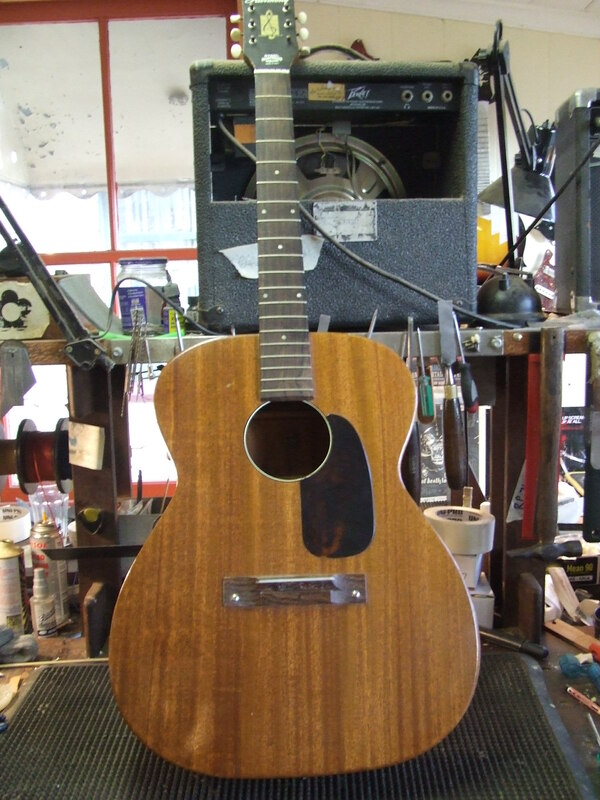 Then set the action height, intonation, nut spacing, string tension, saddle width and overall playability to get the very best feel and sound out of the old girl. Phew, and this is just a basic run down of what needs be done. 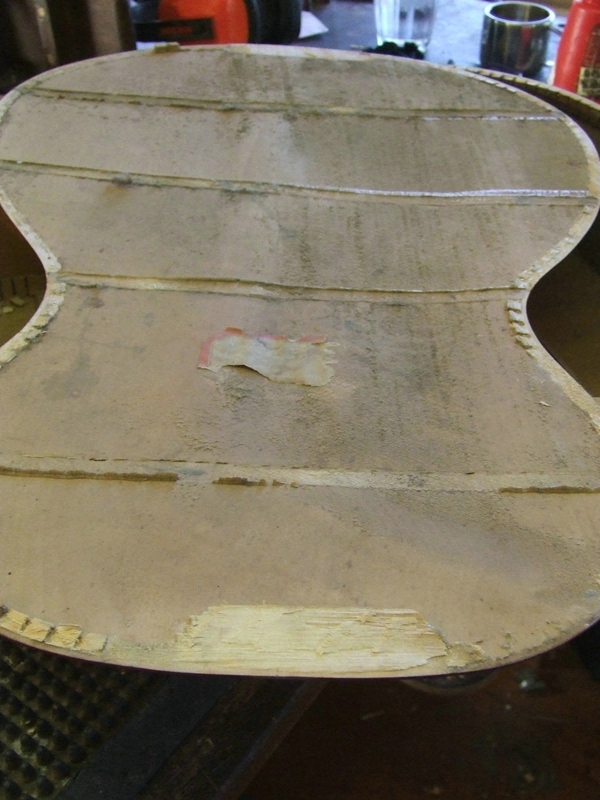 Sometimes more work is needed like fixing and cleating splits and cracks, hole repair, making new scratchplates, replacing fretboards etc etc. What we have after these countless hours of sweat blood and tears is a beautifully old instrument that not only feels great to play but has a sound that is loud, resonant, clear and always a surprise at how well it comes out. A restored 19th century parlour guitar is louder and more vibrant than its modern equivalent. 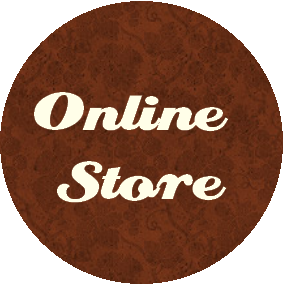 So come on in and have a play yourself and see that there is no substitute for a restored vintage guitar. Unparalleled in its resonance, quality and structure and plays as easily as any modern guitar, our restorations are completely unique in style and sound. 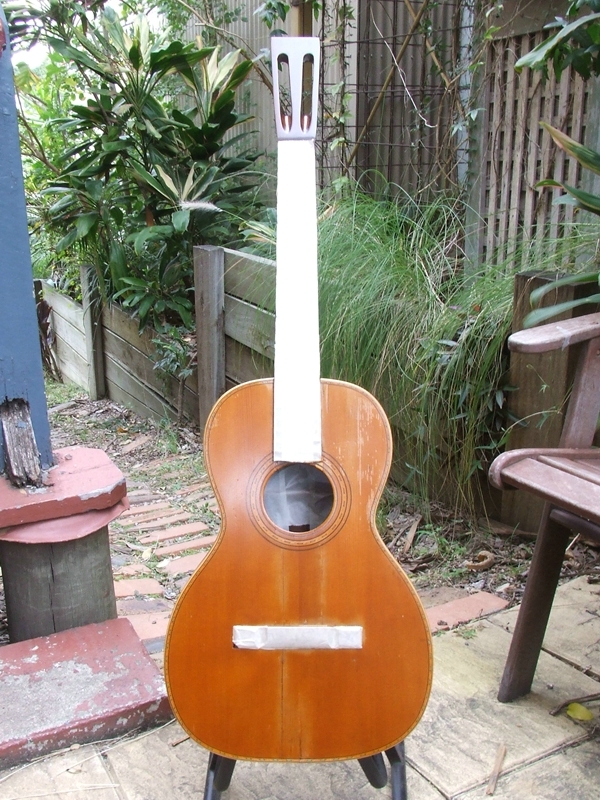 Brisbane Guitar Restoration. Call now on (07) 3368 1833.